The bassinet "Birthe" by Alvi fits perfectly in every nursery and transforms your child's first sleeping place into a particularly cosy and romantic spot. "Birthe" is equipped with four little wheels that enable you to move the bassinet into another room - this way, you can be close to your child at day and at night. Whenever your little one needs to be nursed or changed or cuddled - you are right there. In order to gain more stability, the bassinet comes with integrated brakes as well. The classic woven bassinet has a lying surface of 80 x 46 cm and thus provides maximum space. The base frame of "Birthe" is made of solid stained pine wood. A matching fleece mattress, a canopy rod and the entire textile equipment make the bassinet set complete and turn it into an absolute eye-catcher. The bassinet set "Stripes & Bears" with its subtle colours and cute bears design accompany your child day and night. 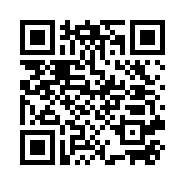 The bedding comes in the sizes 80 x 80 cm (duvet) and 35 x 40 cm (pillow) and can be machine washed at 40°. 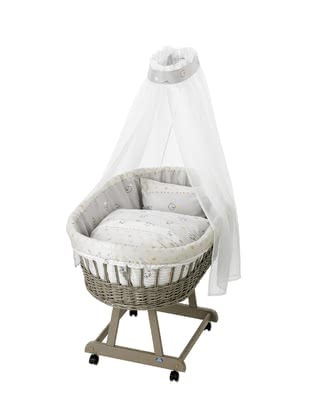 A romantic atmosphere is created by the canopy designed to match the bassinet set. The canopy as well as the bassinet drapery protect your little one from getting overstimulated and can also be machine washed at 40°.